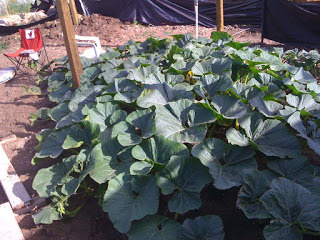 Giant Pumpkin Growing Tips From The Pumpkin Man: 1974 McConkie: Most Aggressive Plant I've Ever Grown? 1974 McConkie: Most Aggressive Plant I've Ever Grown? I've kind of wondered if this 1974 plant is the most aggressive plant that I've ever grown. I've had a couple of aggressive growers in the past, but this plant might be a favorit. This 1974 plant has thicker vines, nice side vine growth and it has grown long at about 18-19 feet. I decide to compare it to past plants. It was kind of fun pulling the old photos of past pumpkin plants. A little trip down memory lane. All of these photos are from right around the 3rd week of June. Not all of the plants are the same age, but relatively close. 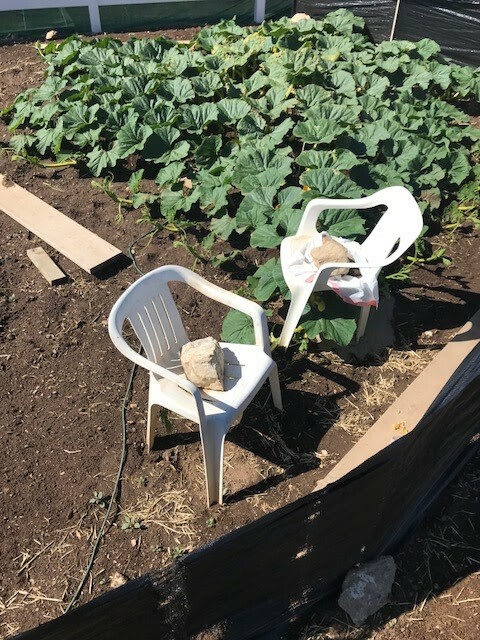 The interesting thing is that the size of the plant isn't a great prediction of how big the pumpkin will grow at the end of the season. Take for example that 2008 plant. Rookie year. 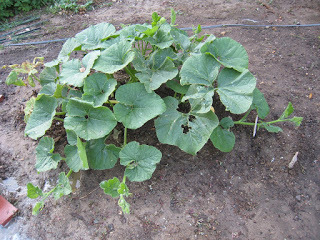 Did not grow my smallest pumpkin and it had some hail damage issues that it had to contend with later. That 2009 plant was a 1556 Rodonis. Wish I could have seen what that one could have produced. Taken out by a massive hail storm/tornado. 2014 plant, not looking bad, but not remarkably different from most plants. 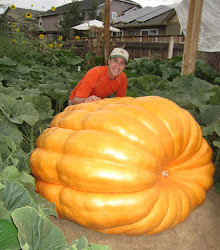 Grew by far my biggest pumpkin to date. Poor, poor 2017 plant. Would have been nice to seen how that one could have done if it didn't have all of that wind damage. It grew my 3rd biggest pumpkin. 2018 plant might be my biggest plant at this point of the season at this date. 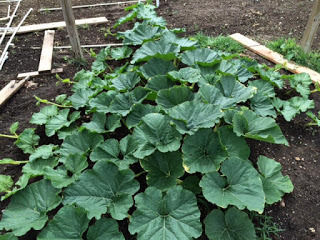 Pumpkin on this plant appears to have set and starting to take off. Which at the end of the day is what matters, because salad doesn't win weigh-offs.